While most people think they are mending the world's problems by contemplating light bulbs or buying "organic", there are thousands of people making a more significant difference. And out of those thousands there are a few dozen trail blazers. And out of those few dozen there is one guy that is WAY out ahead of the pack. The mighty, the glorious, the amazing ... Sepp Holzer. 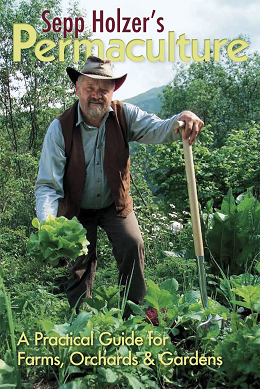 Sepp Holzer was doing permaculture before he ever heard the word. 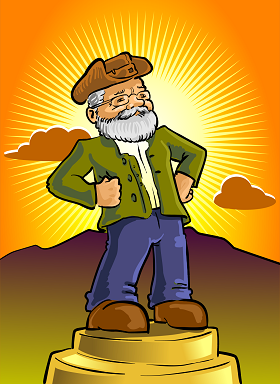 To my knowledge, his farm is, by far, the best example of permaculture. And I was fortunate to study under him for twelve days. Update! In 2012 I spent another 11 days with Sepp. Over the next few days I will try to mash in some updated information. Several of us got together and recorded podcasts rich with information on what we heard and experienced. After watching his videos about 18 times each, and then reshaping about 15 acres of land to be "Sepp Holzer Style" (terraces, ponds, plus lots of trees), it was bizarre to meet him and shake his hand! And his hands are freaky huge! My hands are freaky huge, but I'm a giant. His hands are bigger than mine. So I had my little digital camera with me. It has a video mode. I tried to record some stuff. The battery doesn't last very long when doing the video thing, but I think I lucked out and recorded the best parts. Afterwards, I got Sepp's permission to share this. 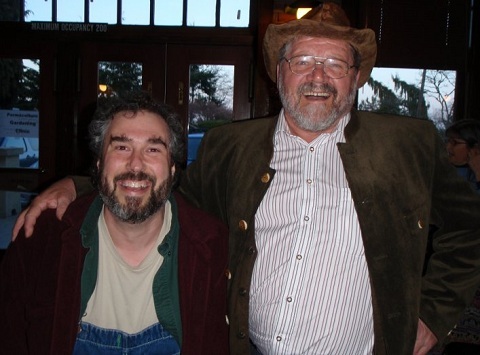 This first video goes into Sepp Holzer's earliest horticultural experiences as a boy genius! He covers the use of rocks on steep slopes and thorns to protect from deer. He also initiates and income model at the age of six! This next video covers the key to sealing a pond. Other folks use pond liners and the like. Sepp Holzer can get damn near any soil to seal for a pond. I've built a few ponds and I've read a lot of books on sealing ponds, and I've had a lot of conversations with a lot of other pond builders. And Sepp Holzer is way, way, way out ahead of everybody else. And he makes it sound so simple. After his presentation, he opened the floor to questions. And there are two important bits that I remember. About two weeks earlier, there was a showing of Sepp Holzer videos in Woodinville. Five permies were asked to sit at the front as a sort of panel. I was one of those five. Somebody asked us what to do to get rid of invasive blackberries. And we had five different answers. One answer was throw your apple cores and the like into the blackberry patches. Eventually the trees will outcompete the blackberries. I like that one! Another was to pick the blackberries and make pies. Then arrange with arborists to bring loads of alder wood chips in exchange for pies. Cut the canes and then cover with 18 inches of wood chips. Labor intensive, but quick results! My answer was "put a string of electric around the blackberries and then run pigs in there." I'm sorry to report that I cannot remember the other two answers. Somebody asked Sepp how to get rid of invasive blackberries. Sepp's answer: "put a string of electric around the blackberries and then run pigs in there." And then somebody asked what if you don't have pigs? Sepp said "then you have to do the pigs work!" and went on to the next question. This was my question. I feel Sepp is quite the expert in riparian areas. After all, a lot of the work he does is in creating riparian areas. And a lot of farmers are now blocking their animals from riparian areas. Often due to government pressure. I run my animals in riparian areas - it is some of the best land! I think the problems with animals in riparian areas are fully compensated for with several things, but mostly a paddock shift system. Sepp's response was something on the order of utter confusion. Why would you NOT run pigs in riparian areas? He then went on to make it clear that he runs his pigs in all of his riparian areas. More about grazing riparian areas. On the first full day of class, we had some classroom time followed by some on-farm time. 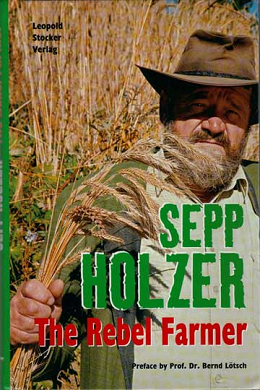 In the class Sepp Holzer talked about quite a few things, but one of the most important things I remember is that Sepp wanted to make it clear that what he advocates is "Holzer Permaculture" which is different from "Permaculture." I cannot think of what the difference is, but as I think about it more and more, I suspect that this has something to do with somebody trying to tell him "you can't do that because that isn't permaculture." By saying that what he is doing is "Holzer Permaculture" then he can do what he thinks is best without giving a damn about the infinite interpretations of the books of others. On the first full day we toured a farm where the animals had wiped out nearly all growth. The land owner's intent was to get a fresh start. So, first run too many animals in there to eliminate all of the weeds and ... well .... everything. Then come in and plant the stuff you want to keep. Sepp was very direct and did not mince words: He did not approve. Sepp pointed out how only the trees were left, but since animals had nibbled at the bark so much, he called these trees "standing dead." First you start with a cast iron kettle and bury it a bit and put a cup of water in the bottom. Then fill another kettle with bones, put a screen over it and then plop the bone kettle upside down on the other kettle. Then pack clay around the edges to make a good seal. Then Pile up some dirt and build a big fire over the whole thing. Here is my lame attempt at drawing Sepp Holzer's bone sauce contraption. Keep the fire going for an hour or two and then let it sit for a day. Then collect the nasty gunk from the bottom. Apparently this smells awful. Smear a little of this around the trunk of any tree and animals won't ever touch that tree. I spent weeks trying to get two matching pots from ebay. In the end, I spent two hours tracking down pots that would work without breaking the bank. For the pots in the video I bought two of these. More about Sepp Holzer's recipe for bone juice. Sepp Holzer on sealing ponds and "the monk"
Sepp does not like to draw pictures. In twelve days of training, Sepp never did a powerpoint, although he did have somebody else show some of his pictures from previous projects. The way he conveys nearly all information is through telling stories and interpretive dance. By "interpretive dance" I mean that he speaks a lot through his hands. Maybe that was just because most of us in the audience didn't speak german - but I see him doing it in the german video too. "The Monk" is something he frequently talks about. Through interpretive dance. He places his right elbow in his left hand and makes his right forearm perfectly vertical. After a second, he moves his right fist left and right a few inches. I've seen him do this about 40 times now. All ponds have a high flow over flow that is used sporatically, but the monk is there for 24 hours a day, 365 days a year. It is a pipe that goes through the dam at a low point. Inside the pond there is an elbow that will connect this pipe with a pipe that goes to the surface. The top of the second pipe will then determine the water level of the pond. These two pipes and the elbow are "The Monk". The key is, that the elbow is a tight fit, but can still slide a little. So if you move the monk side to side, you can adjust the depth of the pond. 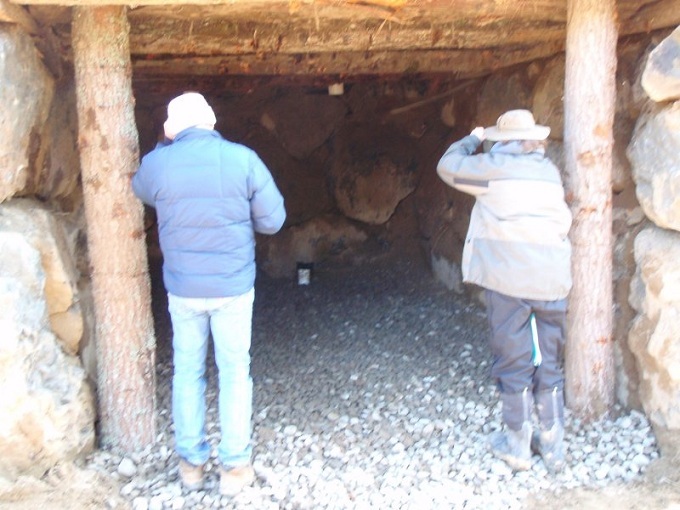 When we were at Mowich farm, Sepp was quick to point at a culvert and holler "catastrophe!" (a word that must be the same in german and english). He then tells a story about how there will be a great rain storm at 2am and the culvert plugs, the water rises, runs over the dam and the dam is destroyed. As part of the story he holds his hands together and places them next to his head to show the pond owner asleep at 2am. Later that day, I asked if the monk would ever plug: "NEVER!" The interpretive dance had the body language of waving me off because I'm a stupid child (with good humor). He then talked about how they use the monk in some interesting ways to "vacuum" up algae, elodea and even silt. They would go so far as to attach poly pipe to the end of the monk and then buzz around the pond sucking up all sorts of things. And what's fun is to put an even longer pipe on the downhill side and then you get super duper suction power. Later I asked Josef, who tends to be a bit more humble: he says that it is true, you can have all sorts of leaves and other debris in the pond and monks just don't seem to plug up. So, I'm thinking about this ... and I think I can see it ... because 1/16 or 1/8 of an inch of water goes over the edge of the monk and into the monk. Then debris, which is gonna have some in the water and some out, won't be able to make that tiny, sharp, downard turn. Debris would just sit around outside the monk. The culvert could do the same trick if it were lower in the dam and had an upwards elbow. Big sticks and logs ... the only stuff that could plug the 18 inch culvert we were looking at ... would not be able to get over the edge of the same culvert standing on end. So here is my rendition of a pond with a standard culvert. And here is my rendition of the same pond with the culvert modified so that it will, in theory, not plug. I can just hear Sepp getting all upset over my use of the word "theory", because to him, it is absolute fact. And I've tried to modify the picture a little to show the stick much closer to the culvert. The stick will stop at the outside edge of culvert and go no further. Sepp has 72 ponds at his place and he has probably built hundreds of ponds outside of his property. This might be a good time to point out that in a couple of his videos you can see the monk in action. And in at least one shot is a close-up, complete with sound and the monk is making this "thip-thip-thip-thip" sound. Sepp thinks that getting the monk to make that sound is the best thing ever. So, he's fiddling with the top edge just a tiny bit - like a millimeter worth of fiddling. He's trying to encourage the water to go down the monk as a spiral. But if he can get the "thip-thip-thip" that's even better. He talks about getting a lot of oxygen in the water. And he talks about catching fish out of the pond where the water comes out of a monk from a higher pond and dribbles into this pond. So he will catch fish from the end of the pond where the water dribbles in and from the other end. The fish from the end with with water coming in have more life and energy than any other fish on his property. I've heard him tell this story three times, where the fish is so full of life it even leaps out of the pan (no innards and no head). repeatedly. He ends up cooking the fish by holding it in the pan. Sepp has a certain sort of spiritual connection with his land. And it seems that this whole life force thing involving the spiraling water in the monk is a really big part of it. And the "thip-thip-thip" is even better. I kinda wonder if it is nothing more than the water has a maximum of dissolved oxygen at that point, and that is what makes the fish so lively. My impression is that Sepp thinks there is more to it. More about Sepp Holzer's ponds with the monk. After watching all of Sepp's videos over and over, and then taking the permaculture design course, I immediately built a bunch of hugelkultur beds and wrote this article: hugelkultur. 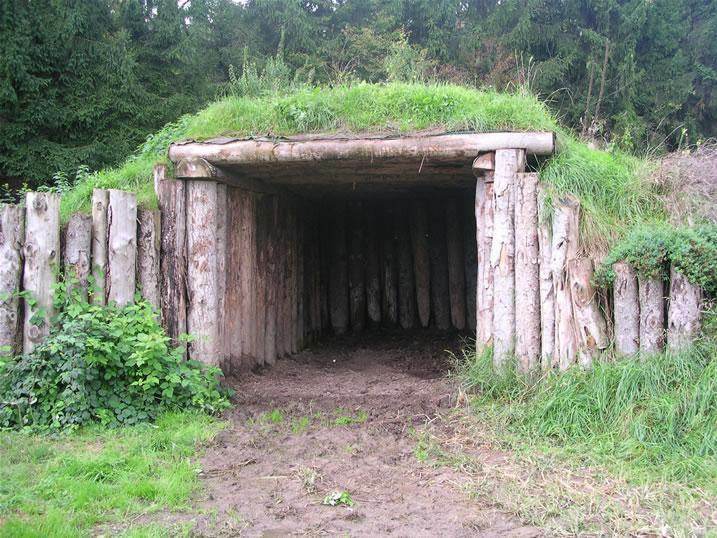 In the videos, Sepp's hugelkultur beds were about two to three feet tall. During the classes, he felt that the beds should be built to be a little taller than the height of the person doing the harvesting. And the edges are all soil. No rocks or logs. And the edges are very steep! And .... I'm sorry to say that I don't have even one good picture. Sorry. In one of the videos you see Sepp throwing something into the water and the fishing rising to the surface to eat it. But ... Sepp takes great pride in not feeding the fish - instead he creates fish food habitat. He pointed out that the people making the video brought the fish food and asked him to feed it to the fish so there can be something more interesting to put on video. More about Sepp Holzer on feeding fish. The interesting tidbit to share is that for ponds, he tries to shape the ponds to go lengthwise with the wind. And he tries to get the wind to blow against the pond surface as much as possible. This makes for good air exchange in the water so the water can support more life. So if the wind blows from the east to the west, he will create a long, skinny pond that runs in an east west direction. And he will try to reduce berms/huglekulture/trees at the ends. More about Sepp Holzer on Ponds and Wind. Sounds crazy at first, but after he explains it, it makes good sense. It sounds as if he has his own little laboratory. At least he has a microscope and a centrifuge. He tests his animals for parasites. And it sounds as if he has done some very careful observations on this path. The important thing is: he uses no wormers on his animals. While there are many factors for this, one of them is that he keep a rich diversity of plants including poisonous plants. When animals need something, they are driven by instinct to get a particular flavor of plant that will make them feel better. Of course, if you pen an animal up and feed it nothing but "purina animal chow" then you take on the responsibility for the animal's health. More about Sepp Holzer says "plant lots of poisonous plants". 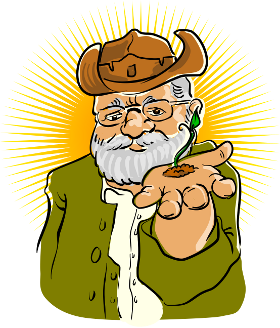 First, I know of several people in the permaculture world that have learned to embrace the mole - although not yet the vole. The mole loosens soil. The vole kills your baby fruit trees. As with many things, Sepp's position is much richer than this. Sepp has, indeed embraced the mole loosening the soil thing. But there's more (in a moment). Sepp doesn't have as much trouble with voles because his trees are non-grafted and non-pruned. So apple branches touch the surface. Voles can eat all they want of those branches and tend to damage the young trunk much less. And then .... I never noticed before that I never noticed mole hills or vole trouble where the pigs have been .... apparently pigs think moles and voles are tasty! More about Sepp Holzer on moles and voles. He normally makes these with logs on the sides instead of rocks, but the one I saw built was with rocks. Rocks stacked. Logs on top. Then felt, then pond liner, then more felt and then a meter of dirt. To have an animal shelter instead of a root cellar, just take out the air pipes and leave the front open. The air coming in from below gets chilled by the cooler, deeper dirt and goes up into the root cellar and is then vented out the top. 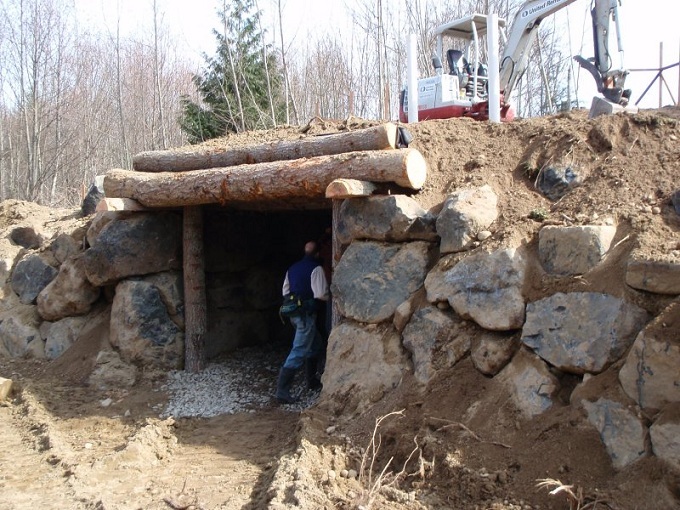 There is one log that is split lengthwise that runs the length of the root cellar, flat side down. And then the bunch of roof logs sit on the two half logs. 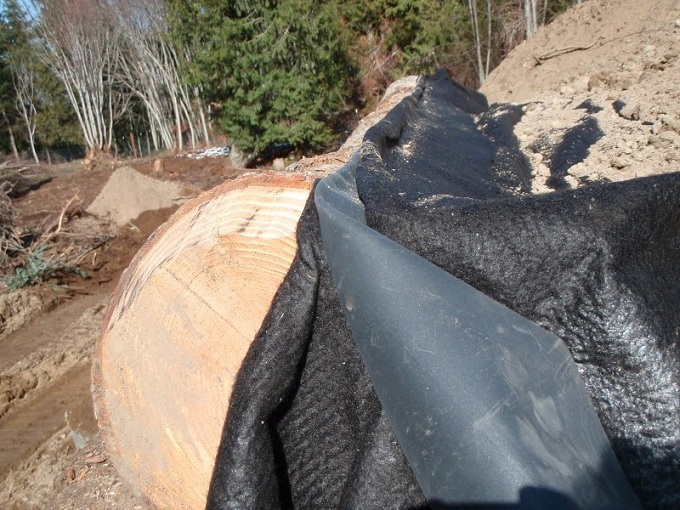 Every third or fourth log has its ends flattened a bit to minimize rolling/shifting after the soil is put on. This drawing above is a pretty close approximation of what Sepp is doing in the pictures. I have two concerns. One is that I think the air exchange is limited to just the back of the root cellar. Another is possible leakage problems that could result from the vent going through the soil. 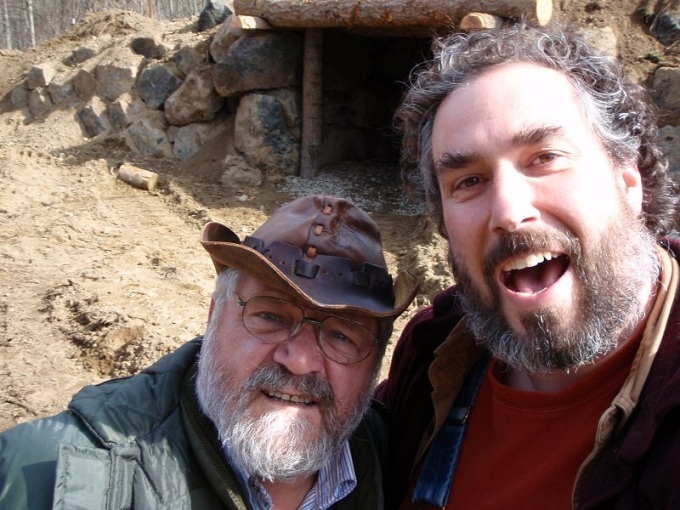 More about Sepp Holzer's root cellar and/or animal shelter. I have lot's more to put in here. Later. For now, here are links to a variety of the threads I started while trying to dump my notes while taking the class. More about Sepp Holzer and ants. More about Sepp Holzer never uses lime. More about Sepp Holzer's perennial grain. More about Sepp Holzer uses no irrigation. More about Sepp Holzer on apple trees. For more information, please visit Sepp Holzer's Farm (Der Krameterhof). Apparently, the English portion is not updated as often as the german portion - but you can run the german pages through an online translator. 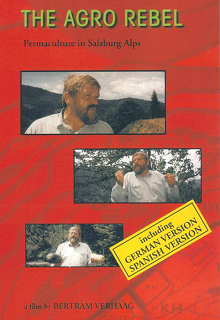 The Sepp Holzer 3-in-1 DVD. 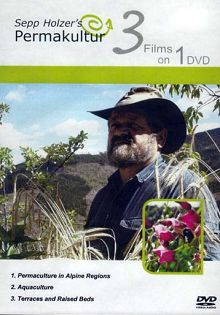 This one DVD contains the three videos that first convinced me that Sepp Holzer was the permaculture master. "Farming with Nature" is a general view of Sepp's farm. "Terraces and Raised Beds" has more depth on polyculture and creating the terraces. "Aquaculture" covers pond construction and raising fish. 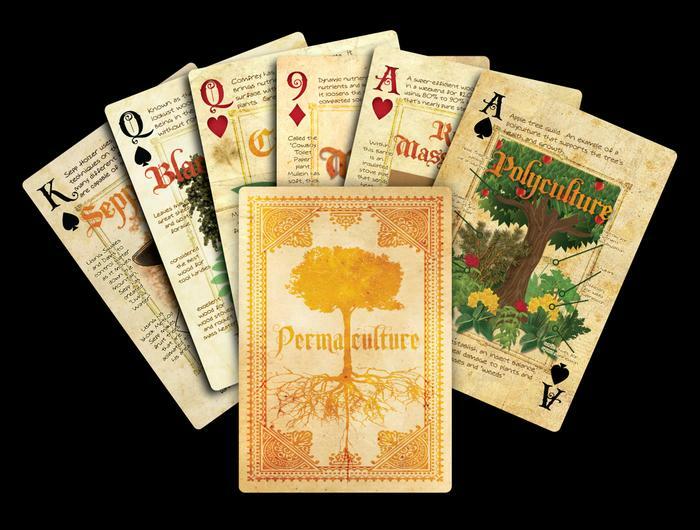 If I could own only one permaculture thing - this would be that thing. This is a great 45 minute DVD on general Sepp Holzer techniques. Good photography and music too. 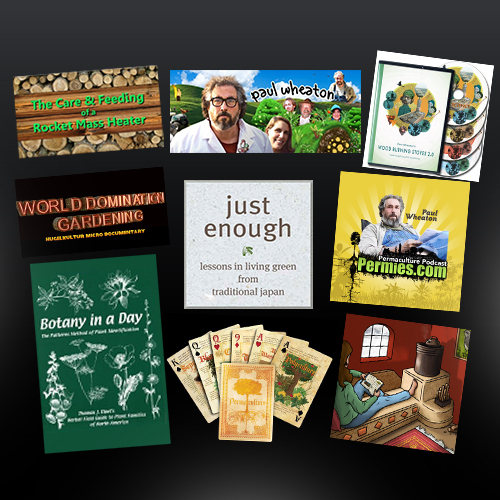 When asked which permaculture book is THE best, I am hard pressed to choose between this book and Gaia's Garden. After a great deal of thought, I think that if a person has two acres or less, they should go with Gaia's Garden. For everybody else, this is the book. Sure, this book also has good stuff on urban permaculture - but where it really shines is in larger scale permaculture. Sepp Holzer's biography. A lot of stuff about his challenges with the government. 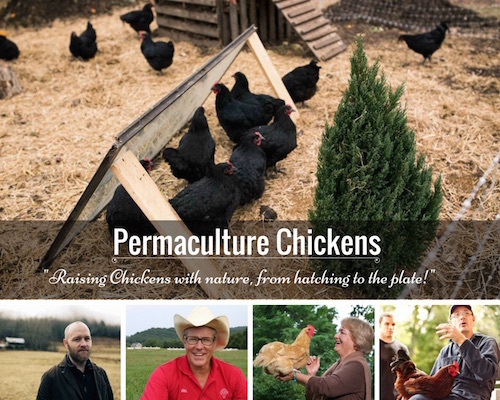 Plus, sprinkled throughout the book are bits and bobs of very practical permaculture knowledge that are not found in "Sepp Holzer's Permaculture". 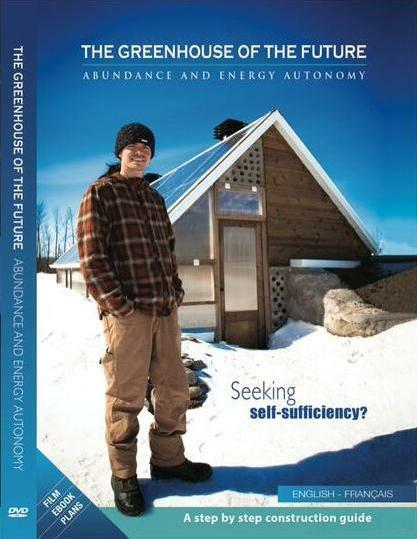 This DVD and plans are an introduction to a nifty new design of greenhouses that utilizes many aspects of permaculture!